JUST REDUCED!! OPPORTUNITY! Minutes from the ocean! Walk to outlets and lots of dining. Great vacation home or year round living. 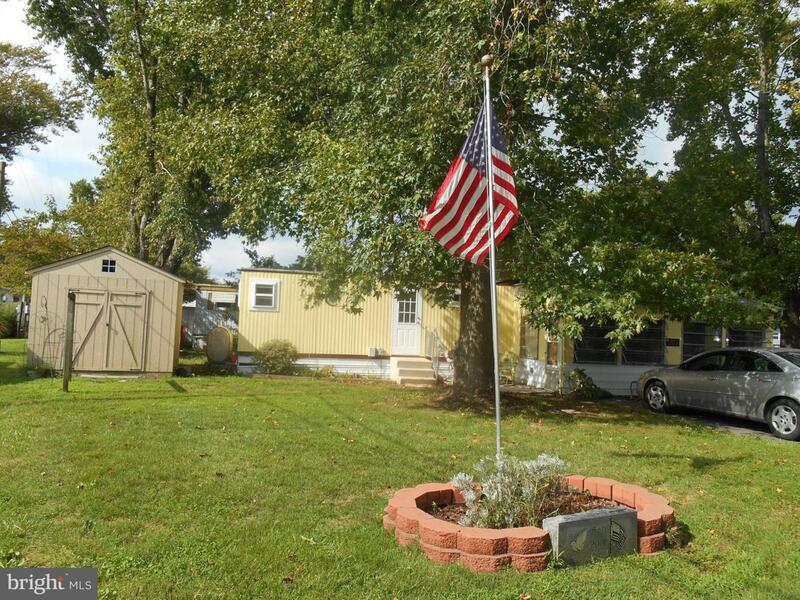 Ownership pride in this well maintained 2 bedroom with 1 bath home. This home sits on a premium corner deep lot. New furnace 2018 and new windows 2017 with transferrable warranty. Kitchen and bathroom newly updated. Lots of cabinet space in kitchen and there is a space set up for a dish washer. Fill up this huge, stainless steel refrigerator with lots of food and drink. New living room and kitchen ceilings (drywall) and ceiling fans throughout. Come and touch up the large 3 season room. Renovation mostly complete. Plan your tour today. Park approval required. Ground rent is $514 a month.